One of the things that Lee Strobel found interesting when he began to read the Bible is that the Old Testament is filled with stories about how horrible the Israelites acted. They are God’s Chosen People, a special possession of the Lord, and yet again and again they deny Him, returning to worship false idols. They intermarry with pagans and adopt pagan worship. They defiled the Temple. They hid the fact that they were Hebrews. They put prophets to death who called them to repentance. But the Chosen People were still the Chosen People, and God promised that He gather the sheep and bring them back to His fold. He promised that He would raise up good shepherds for his sheep. Again and again in the Old Testament, the Israelites would fall into sin and again and again, God would chastise them and then promise He would still care for them and bring about upright leaders. The scandals that seem to grow every morning as we wake up and check the news can make us feel hopeless. They might tempt us to despair. They might make some people leave because of the horrible pain that they have suffered within the Church. When someone who says he speaks for the Lord hurts you, it’s not hard to see why a person would turn away from the Church. Each of us is reeling with every new revelation. But if every morning seems to bring new scandals and horrors, we must also remember that God’s mercies are also new every morning. And God is bigger than all of this. 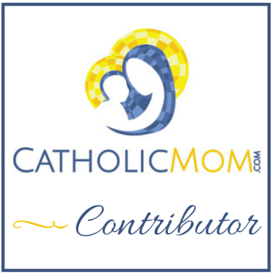 Read the rest of my latest at Catholic Mom.